Israeli forces shot dead a 16-year-old Palestinian boy after he attempted to carry out a stabbing attack at a military checkpoint outside the BLOCKADED VILLAGE OF AL-ZAWIYA in Salfit district on Wednesday morning. 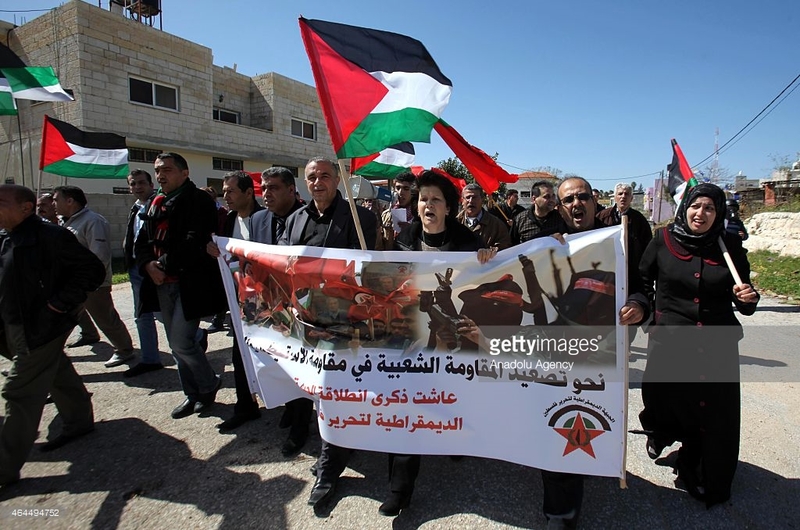 ___Al-Zawiya in the northern West Bank was placed under military blockade late on Tuesday after it is believed one of its residents carried out a stabbing attack near Tel Aviv. MORE . . . 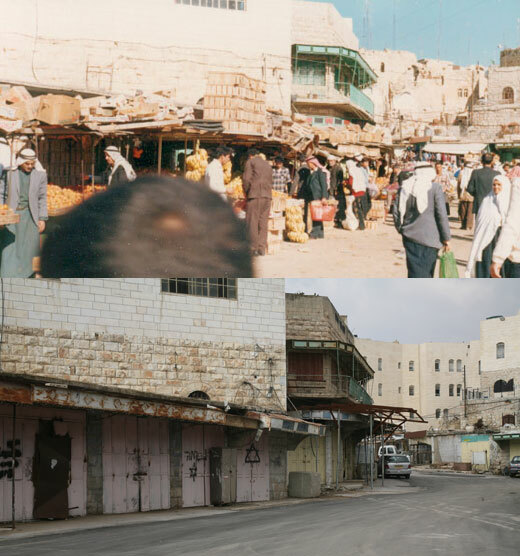 Since the 1994 Ibrahimi Mosque Massacre, the majority of Shuhada Street – once the thriving Palestinian market and main thoroughfare connecting north and south al-Khalil (Hebron) – has been closed to Palestinians. They are completely barred from accessing it, except for a small stretch in the Tel Rumeida neighbourhood. MORE . . .
Nearly half of Israeli Jews believe that Palestinians with Israeli citizenship should be “expelled or transferred” from Israel, according to an authoritative survey published Tuesday. ___ The survey found that 48 percent of Israeli Jews agree — including 21 percent strongly — that Palestinian citizens of Israel ought to be expelled or transferred from Israel. MORE . . .
Israeli forces Thursday handed demolition notices for 13 Palestinian houses in Azzun village, east of Qalqiliya, in the northern West Bank, reported WAFA correspondent. Israeli troops handed notices to the homeowners of 13 houses in the village, ordering them to immediately halt construction. The homeowners were threatened that their houses would be demolished if they fail to immediately comply with the notices. MORE . . . The Occupation of Palestine did not begin in 1967, and neither did Occupation’s crimes against the Palestinian people. The Zionist Occupation Regime established their illegal state on the mass graves of the Palestinian people long before; Jew, Muslim and Christian alike. ___Genocide: the deliberate killing of a large group of people, especially those of a particular ethnic group or nation. ___Let us go back further to the Nakba of 1948 . . . . MORE . . .
look at the street stretched in the morning. Mine was burdened with dreams. I live with shadows and lanterns. I see only shadows in the night and in the morning. whose fruits are spat up on the ground to rot. distend and crowd the doors and sidewalk. Look at the deserted street in the dark. that grips him afresh at every door. and purge the eye and foot. all rotting things from sight. to scour the corners and the floors. rocks at the bottom of the sea. and blood. . . .
and restore calm sleep to out nights. Section II of this poem. From: WHEN THE WORDS BURN: AN ANTHOLOGY OF MODERN ARABIC POETRY: 1945-1987. Translated and edited by John Mikhail Asfour. Dunvegan, Ontario, Canada. Cormorant Books, 1988. Available from Amazon.